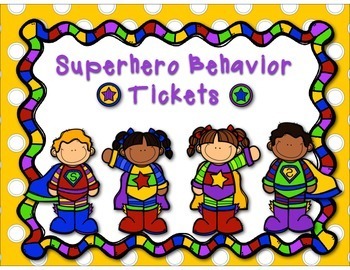 This set of behavior reward tickets have a Superhero theme. There are 36 behavior awards that will go easy on your wallet. The rewards will not require you to go to the store for upkeep of items for a treasure chest. 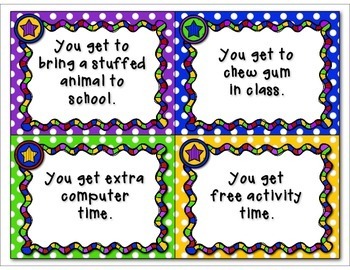 I know teachers spend a lot of money out of their own pockets for awards for their class. Hopefully, this set will make giving rewards easier on your wallet. 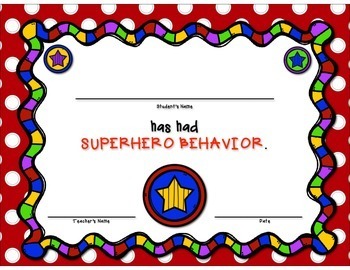 I have also included a Superhero behavior certificate. You can use this however you choose. I love the idea of having a "Superhero Behavior" club. 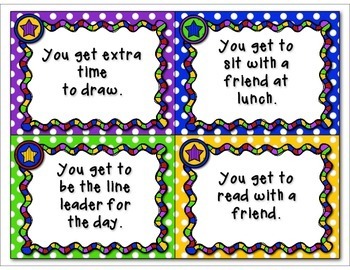 Once students meet your behavior expectations, their certificate will be added to the wall of names of students in the club. If that doesn't appeal to you, send them home weekly or whenever you feel like it.